Ready to Move! Awesome Opportunity at Newly Reduced Price. Greek Revival Architectural Style. The owners spared no expense when building this dream home. 12-foot ceilings in the main foyer. Bertazzoni Italian range, Carrara Marble in the Kitchen. Reclaimed brick from a Warehouse in Birmingham, Alabama. Come see what superior amenities were used throughout the home. There's a New Orleans style courtyard, pond stocked with perch, bass, & catfish, plus 9.599 acres of lush pasture, 2 front pastures with shelter and a large pasture with horse barn. 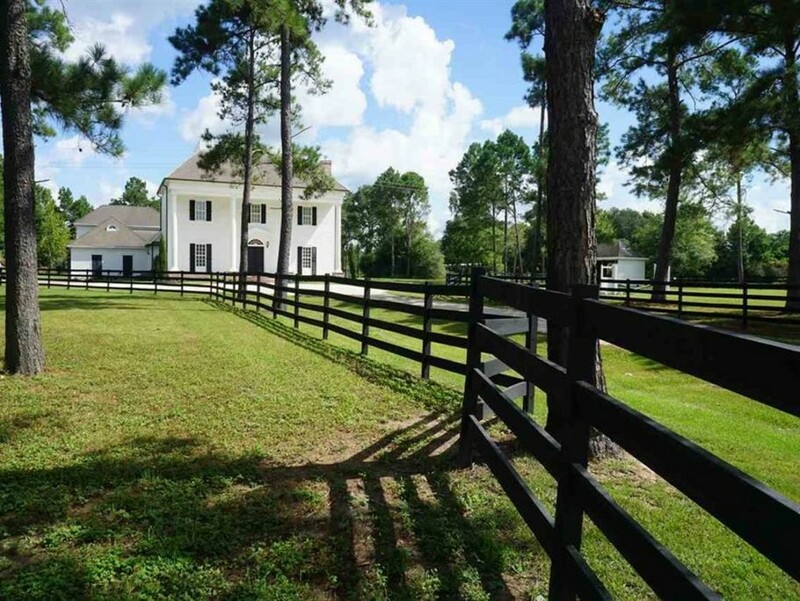 Equestrian lover or nature lover here's a rare opportunity to find a luxurious turn key property.